Keith Price's Curtain Call: Tony Nominees Orfeh and Andy Karl are going to turn Lincoln Center's American Songbook! Tony Nominees Orfeh and Andy Karl are going to turn Lincoln Center's American Songbook! Two time Tony Award Nominee Andy Karl and Tony Award Nominee Orfeh, chat with Theater Bon Vivant, Keith Price about preparing for their recent concert for Lincoln Center's American Songbook. They took time out of their rehearsals for a fun chat. They talk about working as a couple and being a "powerhouse" duo. They are simply amazing people. Enjoy the lovefest! 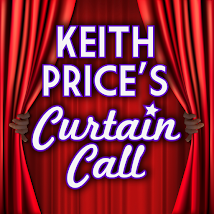 Keith Price Presents the Curtain Call Podcast!